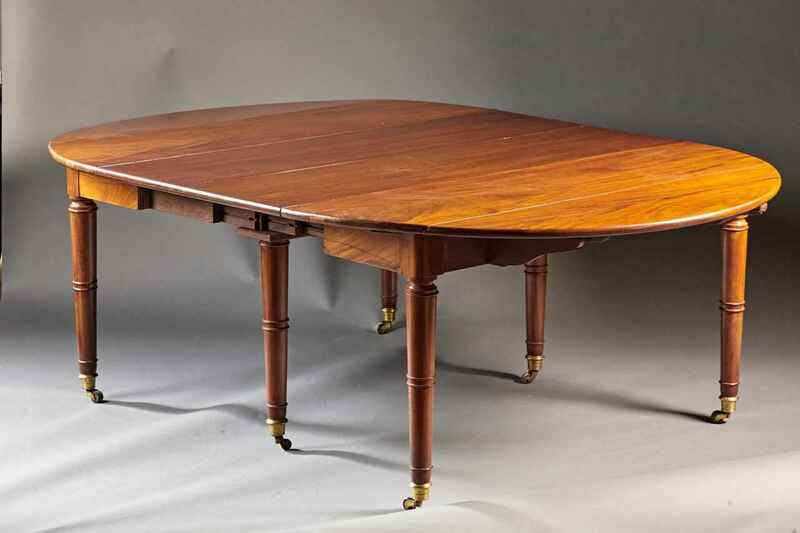 A mahogany French Empire dining table with drop leaves on a telescoping extension mechanism and three additional leaves of 15". The closed table configuration is basically a round table which extends to an oblong shape 101" long. French, circa 1810. The matched leaves are of a later date.